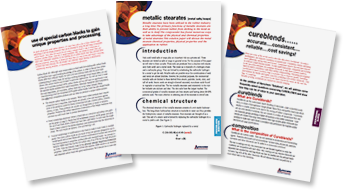 Welcome to SOLUTIONS, your technical reference guide from AKROCHEM. With Solutions, it’s almost like having an Akrochem representative in your office. Each technical paper has been researched and written by our technical service department, so you can count on the information for accuracy. Browse through the various topics. If you have further technical questions relating to a paper or any of our products, please contact us. Technical Papers require Adobe Acrobat Reader. Download by clicking here.